It has been some time since I really got creative in the kitchen and I found myself getting really bored with my everyday meals. Being pregnant for most of last year slowed down my kitchen adventures and my diet also took a hit as I shunned my regular delights. 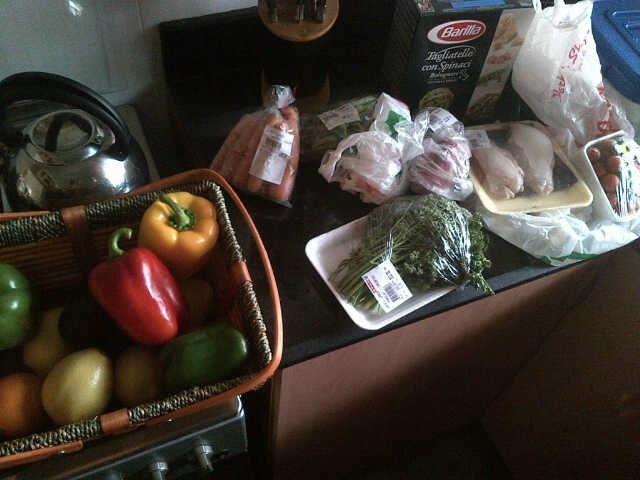 All that has changed now and I am ready to resume my food creating activities in my “Flab” (food lab). St. Patrick’s day was this past Saturday and although I am not Irish, I wanted to commemorate the day through food. 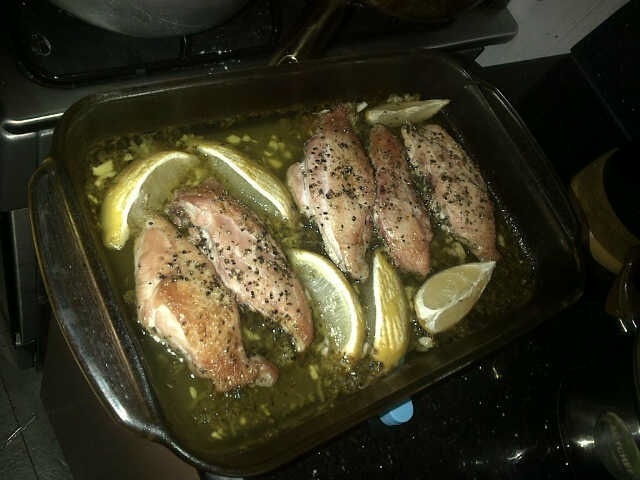 A few days ago as I watched the Barefoot Contessa on the Food Network, Ina Garten made what seemed to be a simple delicious looking Lemon Chicken Breast dish. And I thought to myself “How easy is that?” and decided I would try the recipe at home soon. I also watched Cooking for Real with Sunny Anderson on the Food Network and she made a fridge brewed Iced tea that looked like it could quench the thirst of the most sun-scorched desert traveller; I also resolved to try to make it. I happened upon an interesting recipe for shamrock eggs on Twitter, via @BabbleEditors, which looked dead easy to make. So armed with my need to get creative and these recipes, on St, Patrick’s day, I marched off to the shops to get my ingredients. 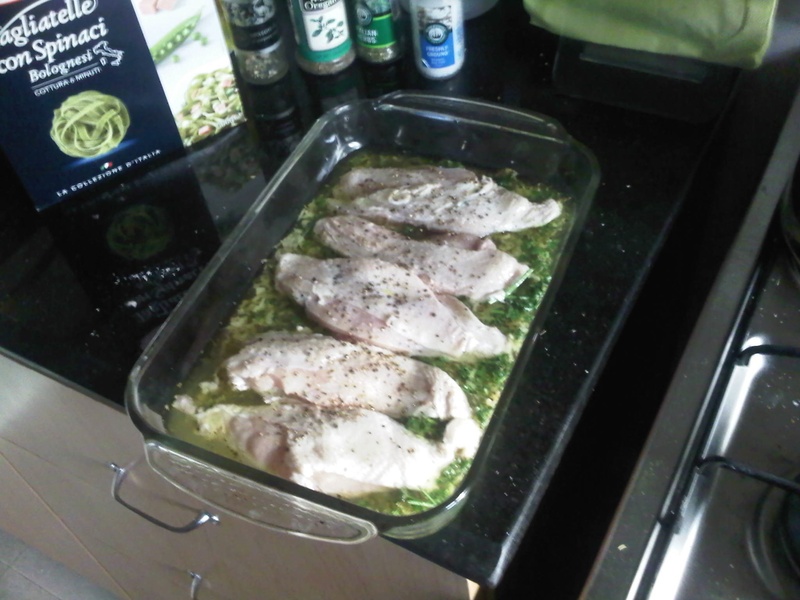 There was no difficulty in sourcing most of what I needed except that I could not find fresh thyme for the Lemon Chicken dish. I substituted curly leaf parsley for thyme because I figured that parsley had a similar earthy flavour of thyme and would also work well to counterbalance the lemon and garlic in the recipe. I decided that for breakfast, I would try my hands at the Shamrock eggs. 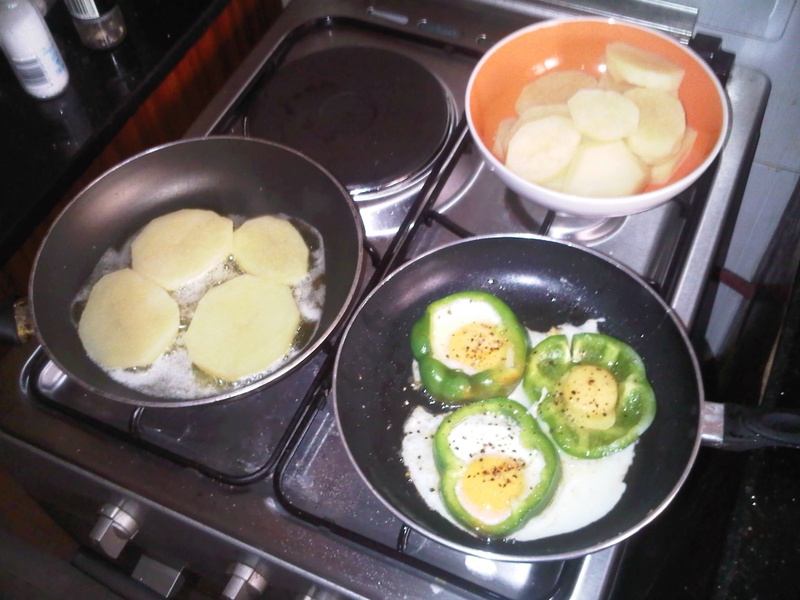 Of course no St. Patrick’s day breakfast would be complete without the inclusion of potatoes so I sautéed potato slices in butter, pan grilled some cherry tomatoes and served up the meal with a liberal sprinkling of chopped parsley. 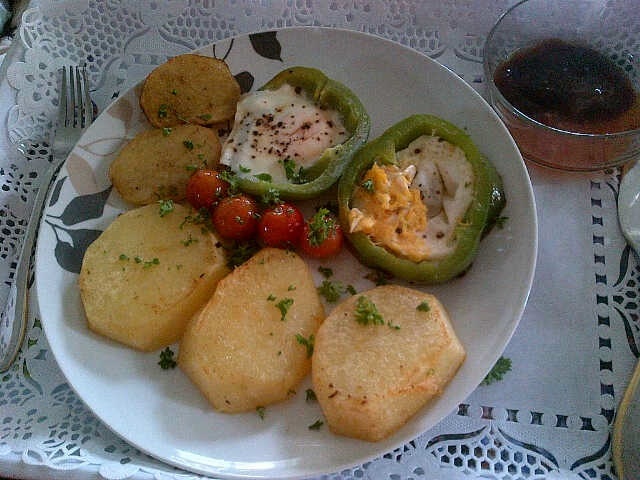 The result waa a meal well received by my hubby and his friend who joined us for breakfast. The success of this dish bolstered my spirits and encouraged me to get cracking with lunch. For lunch I made Ina Garten’s Lemon Chicken, served with Tagliatelle and white sauce, honey glazed carrots and steamed string beans. As Ina said, it was quite easy to make; save for cutting myself when I was grating the rind of the lemon, the dish was a delight to put together. I cooked the Tagliatelle according the instructions on the packet, julliened and steamed the carrots, then glazed them with butter and honey. Steamed the string beans and whipped up some white sauce. 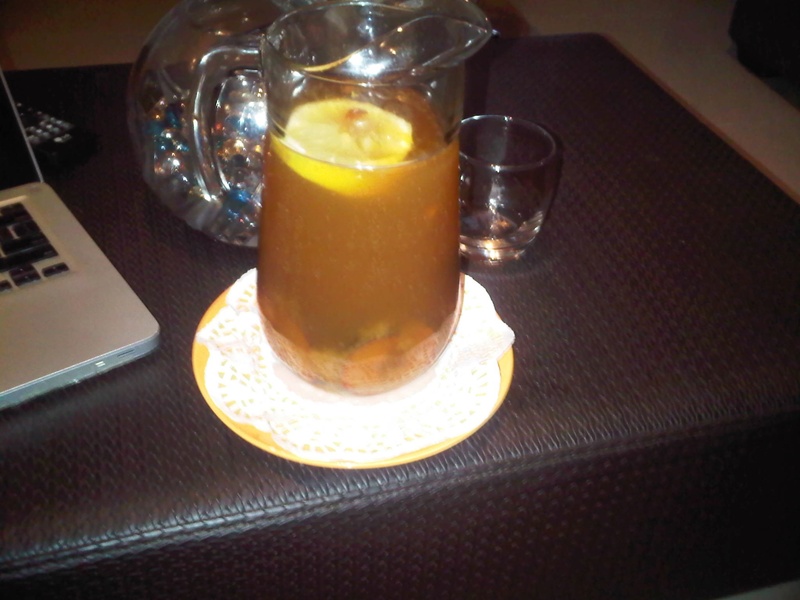 I thought it would be a great idea to accompany the meal with Sunny Anderson’s Iced Tea recipe. 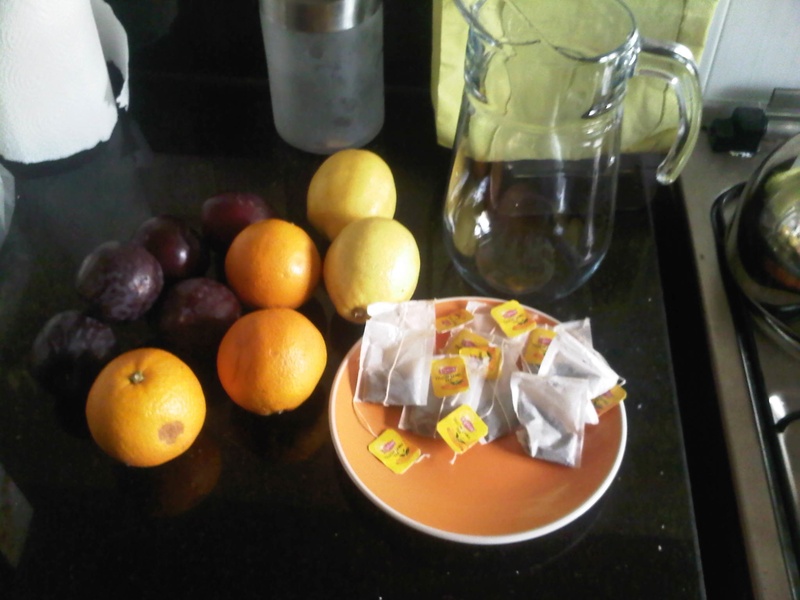 So using 7 tea bags, 600 cl of water, fresh oranges; squeezed, plums; pitted and halved, and lemons. I put them all in the jug let it brew for about 6 hours in the refrigerator before adding sugar. 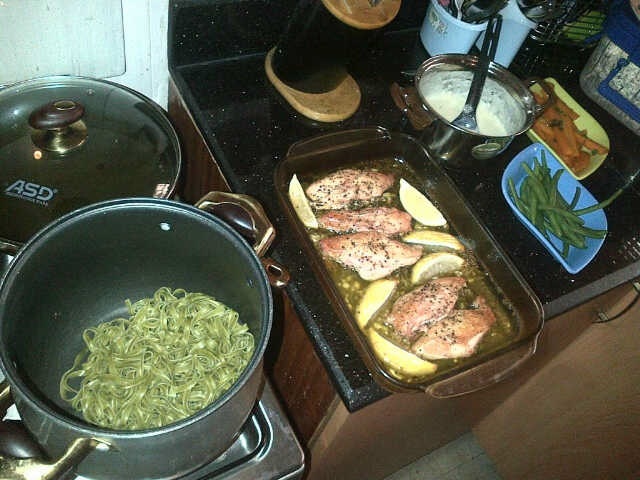 After all the work I put into preparing the meal I was more than eager to plate up and tuck in. In the end every bite and every sip was worth the time it took to put it all together. So there you have it a St. Patrick’s day inspired feast!! Look out for my next post about cooking with left overs.